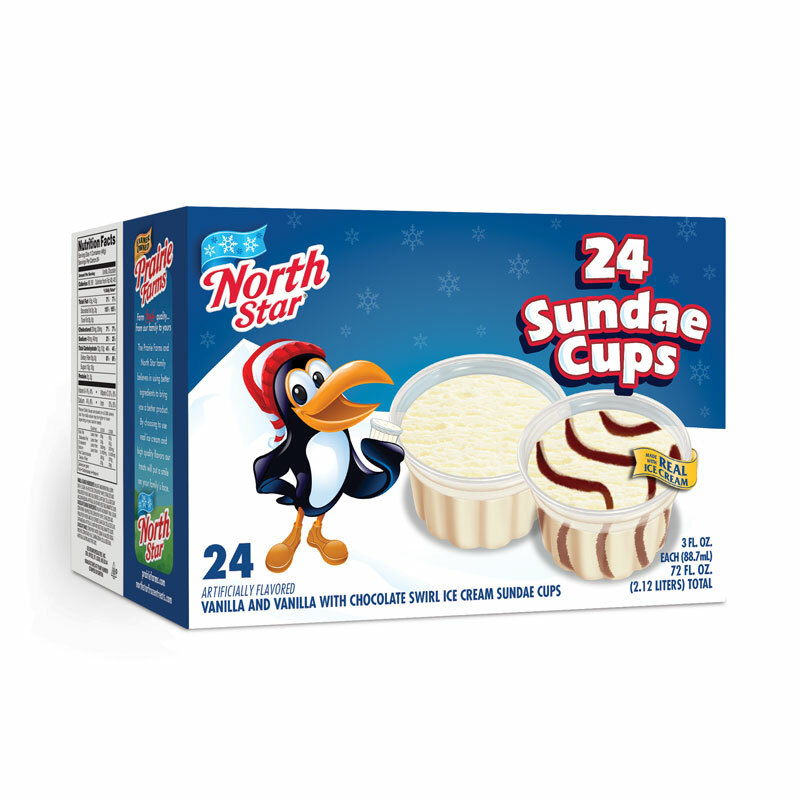 Classic sundae cones in one box. 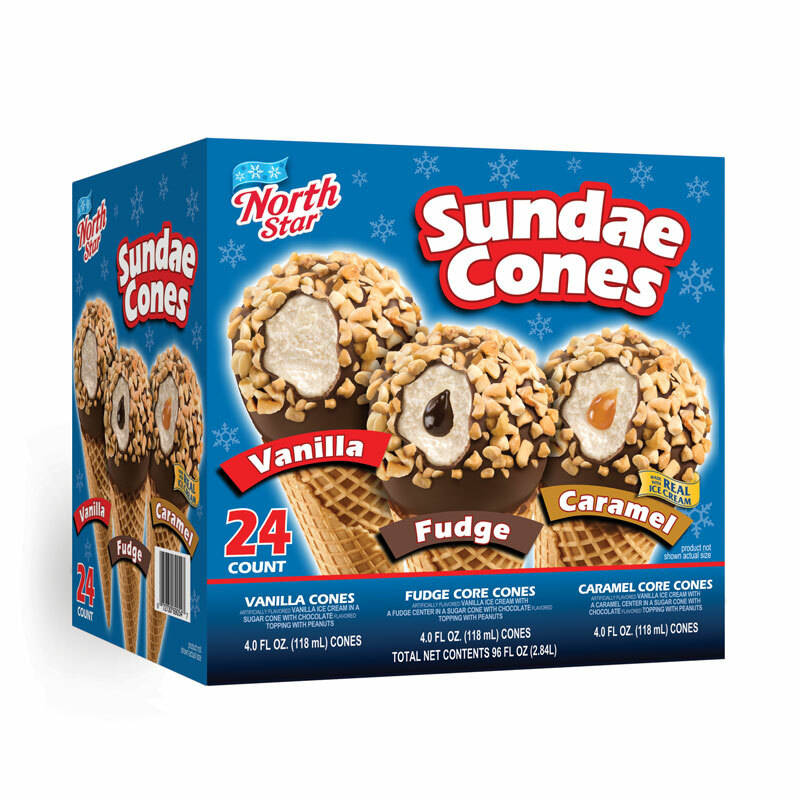 Original vanilla, fudge and caramel cones made with real ice cream. Artificial flavor added. 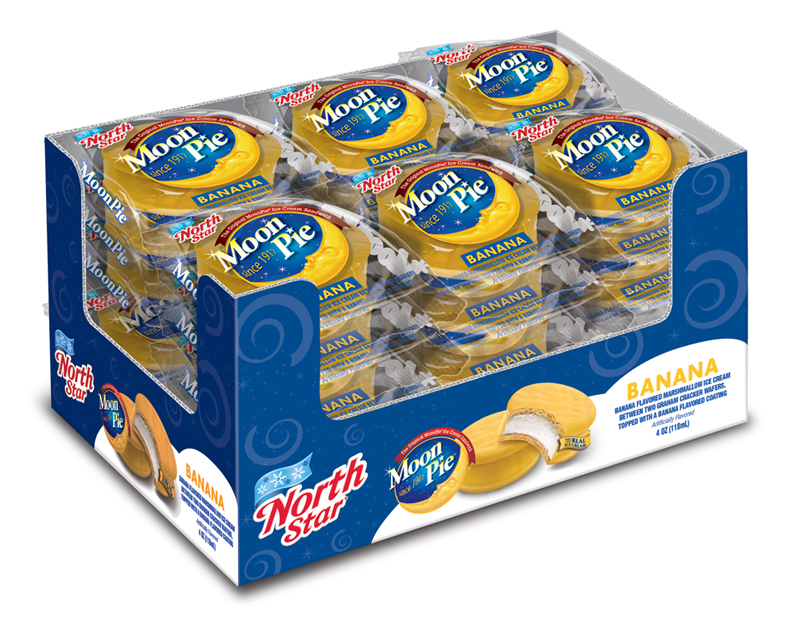 Includes 8 of each variety. Vanilla ice cream cups and vanilla ice cream with chocolate sauce sundae cups. 12 of each. Made with real ice cream. Artificial flavor added. 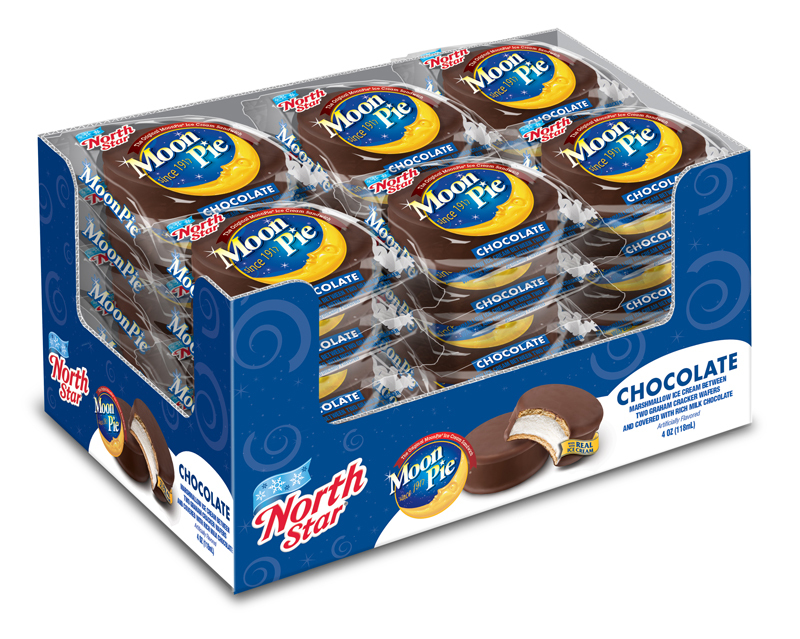 Real ice cream bars in four varieties: Fudge bars, chocolate eclairs, old recipe bars and strawberry shortcake bars. Six of each included. 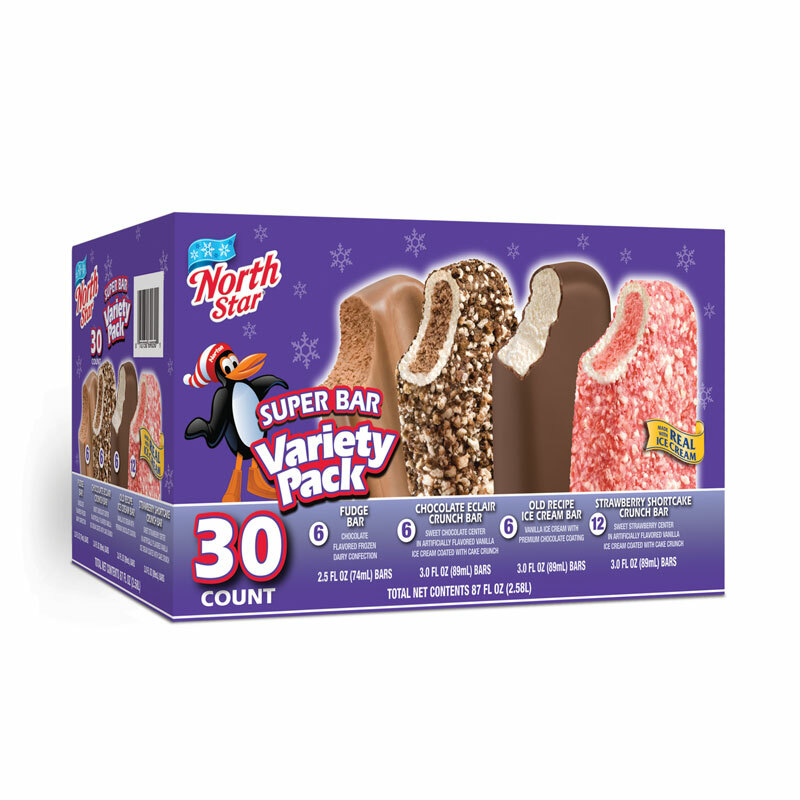 Real ice cream sliced into squares for easy serving. 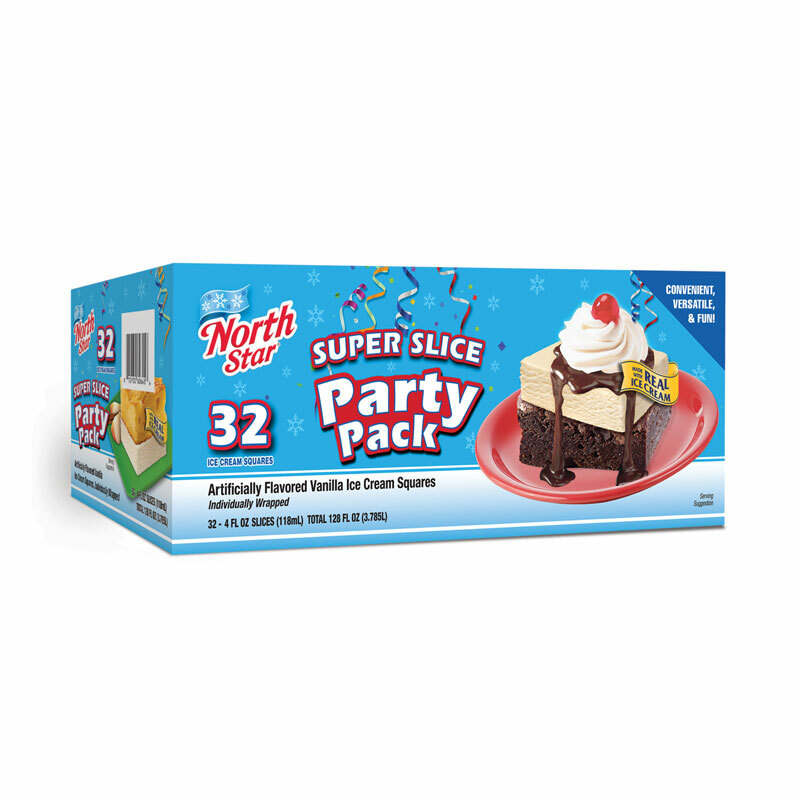 Perfect for parties and quick creative desserts. Chocolate smothered ice cream sandwiched between two oatmeal cookies. Artificial flavor added. 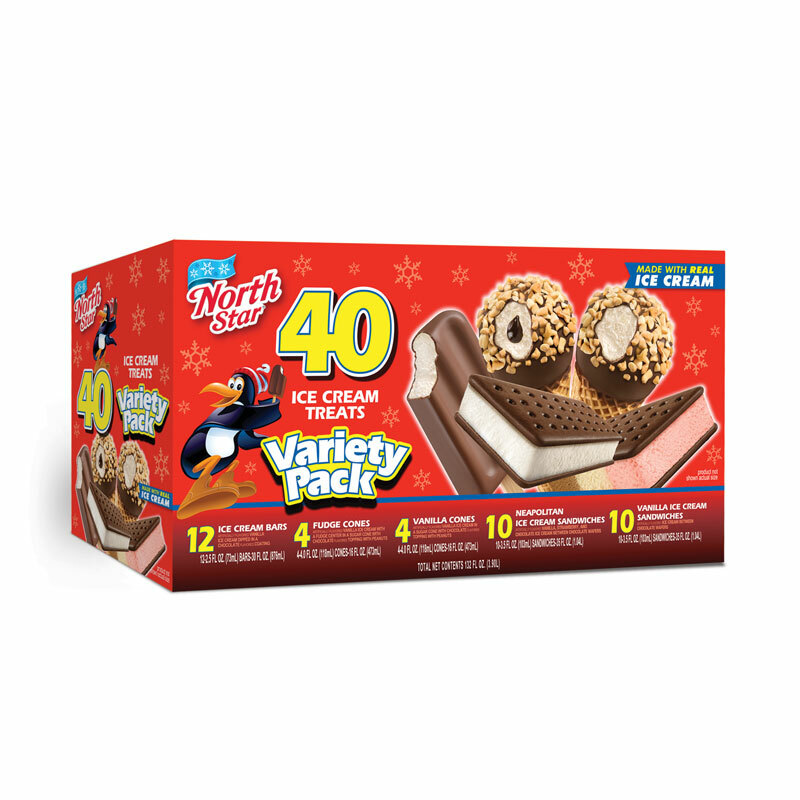 Includes 12 chocolate coated ice cream bars, 4 fudge core sundae cones, 4 vanilla sundae cones, 10 neapolitan ice cream sandwiches and 10 original ice cream sandwiches. Artificial flavor added. All made with real ice cream. Banana marshmallow flavored ice cream between two graham cracker wafers and covered in rich milk chocolate. Artificial flavor added. Marshmallow flavored ice cream between two graham cracker wafers and covered in rich milk chocolate. Artificial flavor added.